Food is one of the most important aspects of life and culture and unsurprisingly there are many beliefs, proverbs and taboos about growing, preparing and eating food. In parts of South Africa young boys should not be given kidneys to eat. In parts of East Africa, children should not be given eggs because it will make them bald like an egg. In parts of West Africa, children are considered pure and are given raw milk to purify the person who gives milk. In Vietnam women eat pork legs as they believe that this make them have more milk to breastfeed their child but some people believe you shouldn’t turn the fish over while you are eating it, because it is bad luck and means the boat may turn over when it goes fishing. Among the wide range of hazards in animal source food products in informal systems, which are likely to have the greatest risks to human health? Which risks have the most impact in terms of limiting the availability of food which is critical to the nutritional security of the poor? What are the key constraints to supply and demand of safe and nutritious foods? How do these constraints influence the development of the value chain, particularly livelihood opportunities of the poor who produce or handle those products? What are potential health and nutritional benefits of research that seeks to overcome these risks and constraints? 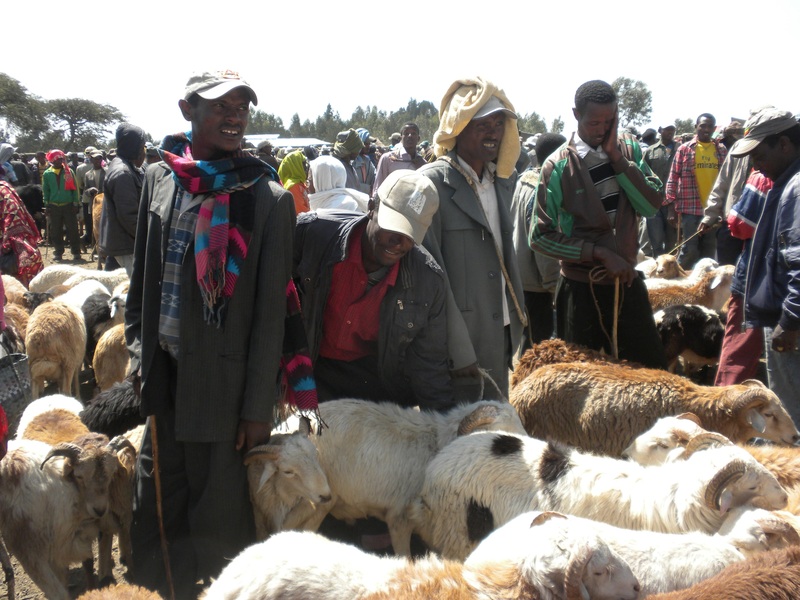 The CGIAR Research Program on Livestock and Fish (CRP L&F) has identified 9 value chains of great importance to smallholders and poor people. The CGIAR Research Program on Agriculture for Nutrition and Health (CRP A4NH) is focusing on nutrition and food safety aspects of these important animal source value chains. This requires new tools and approaches to prioritize trade-offs between income, employment, disease risks and nutritional benefits. These are particularly diverse in informal markets in developing countries but yet provide for the livelihoods of millions. In the past months since June 2012, guidelines have been developed by the International Livestock Research Institute (ILRI) and the Royal Veterinary College (RVC) for a rapid integrated assessment of food safety risks and nutritional benefits for a range of ASF value chains. These build on emerging research on participatory risk assessment and assessment tools for value chains, bringing together public health, value chain, and impact assessment experts to undertake the rapid assessment and develop appropriate methods and approaches for survey design, data collection and analysis. The work has been funded by the Australian Centre for International Agricultural Research (ACIAR). These tools will now be applied and validated in the field along with on-going value chains assessments led by ILRI. Several projects under CRP A4NH formed synergies to join forces in data collection. They are funded by ACIAR (PigRisk Vietnam) and the German Federal Ministry for Economic Development and Cooperation, BMZ/GIZ (Safe Food, Fair Food). The project brings together scientists from RVC in London, Kafr-El-Sheikh University, WorldFish in Egypt, Hanoi School of Public Health and Hanoi Agriculture University in Vietnam as well as the International Food Policy Research Centre (IFPRI), the International Center for Agricultural Research in the Dry Areas (ICARDA) and ILRI together with partners in the Safe Food, Fair Food (SFFF) project from throughout sub-Saharan Africa. The results of the risk assessments and management recommendations will feed directly into the CRP L&F value chain development intervention packages. Read more about the launches in Egypt (by Kennedy Bomfeh and Malcolm Dickson), in Ethiopia (by Tamsin Dewé), in Tanzania (by Kimberly Fornace and Mahmoud Eltholth), in Uganda (by Danilo Pezo) and in Vietnam (by Delia Grace and Hung Nguyen).